In biblical times, a married couple of the Jewish faith could only be released from the bonds of matrimony if the husband granted a bill of divorce to his wife. This document, known as a “get,” served as proof of the dissolution of the marriage and actually made the divorce effective. In modern times, the process of filing for and actually obtaining a divorce is much more complex. For secular divorce proceedings, only civil proceedings need to be carried out. However, for many Orthodox Jewish couples, the process of dissolving a marriage necessitates both a legal proceedings and a get in order to satisfy the requirements set forth in Halacha (Halakha), Jewish religious laws. Without an official get, even if a Jewish couple in New York obtains a civil decree, they are still married in the eyes of the religious doctrine. A get plays a significant role because marriage itself is an extremely significant venture. Marriage, in the Jewish faith, is not just a piece of paper. Marriage is viewed as a consecrated act; the union of two souls. As difficult as it can be to obtain a regular secular divorce, one can imagine that the process of separating two unified souls is much more complicated. In order to obtain a swift and fair divorce decree for a Jewish couple, it’s important for parties to retain an experienced Jewish divorce lawyer in order to ensure both their legal and religious needs are respected and upheld. If you have considered filing for divorce in New York or are struggling with a family law matter, the Law Offices of Elliot Green can assist. Elliot Green is a Jewish family lawyer with offices in Brooklyn, Queens and Staten Island, NY with years of experience in working with faith-based divorce proceedings. As a family man himself, Mr. Green understands that each family is unique, especially when it comes to their faith and faith-based practices. He takes all aspects of Halacha into account when working with Jewish couples and works diligently to secure a swift and favorable resolution for your case. When working with Mr. Green, you can rest easy knowing all your legal and religious divorce proceedings will be handled with the highest respect for your beliefs and your loved ones. What Grounds are Acceptable for a Jewish Divorce? In New York, couples who seek a dissolution of marriage can either petition the court for a “no-fault” or a “fault” divorce. As per state law, a couple need not provide an actual reason for why they seek the divorce. They can mere state irreconcilable differences and carry on with proceedings. A Jewish divorce follows the same principles, which makes it much easier to obtain a divorce degree from the legal standpoint, since fault-based divorces can take much more time to resolve. Judaism has actually been recognizing the concept of “no-fault” divorce for thousands of years. However, proceedings can get complicated without the help of a skilled Jewish divorce attorney from the religious standpoint. In the Jewish faith, though a divorce may be seen as unfortunate and is discouraged in many ways, it is preferable for a couple to separate than to remain in an unsuitable marriage. But what is considered “unsuitable” can be vast. A Jewish husband can divorce their wife for any reason, even something as simple as overcooking dinner. Unless the wife committed some form of misconduct, the husband seeking the divorce is required to pay her a substantial sum of money as specified in the Ketubah (marriage contract), otherwise known as alimony. Yet, this notion of being able to easily divorce one’s spouse has been frowned upon. At one point, it was perfectly fine to hand your wife a get, then wipe your hands clean of the marriage. But not so much these days. In order to prevent a sudden and frivolous divorce, rabbis complex rules for the creation, delivery, and acceptance of the get to protect both parties’ rights. Couples considering a divorce should not only consult with a Jewish divorce lawyer, but also with a rabbinical authority to ensure the get is accurate, fair, and in accordance with Jewish law. Elliot Green understands this and works with both you and your rabbi of choice in order to ensure proceedings run smoothly from both a religious and a legal standpoint. What Happens in a Liberal Jewish Divorce? Even for liberal Jews, it’s imperative that a formal get be obtained. Couples who are non-traditional may only bother with the civil end of proceedings, but while they may obtain a valid civil divorce, in the eyes of the Jewish faith, they are still 100% married because they do not have a religiously valid divorce. So what’s the problem? If both parties are liberal, why should it matter if they have a religiously valid divorce? For starters, the woman will not be able to remarry under her faith. Legally, the second marriage will be recognized in New York, but not by the Jewish faith. In fact, the second marriage will not even be considered a marriage. It will be viewed as a form of adultery and any children from the new marriage will be considered illegitimate. This is also a problem for news couples, especially if one of the parties strictly adheres to the doctrines of the Jewish faith. The new partner will not accept the civil divorce only, but will naturally want their new significant other to be divorced in the religious sense as well. According to traditional Jewish law, only the husband can initiate divorce. Years ago, the wife could not even contest. However, rabbinical authorities have eased the severity of these strict rules by modifying the rules. Now, a wife’s consent is required for the divorce to be granted. But while that may sound fair, other aspects of the religious doctrine remain quite traditional. 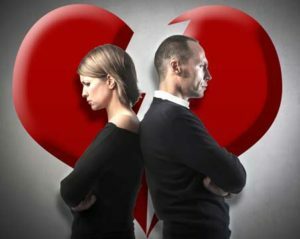 A rabbinical court, known as a Beth Din, can actually compel a husband to divorce his wife under certain circumstances, even if both parties are opposed to getting a divorce. Conversely, this can work in favor of the wife, if she is the one seeking the divorce. If certain circumstances are present, such as abuse or adultery, the wife can request a rabbinical court to compel her husband to file for divorce. Complications can also arise in the event that a husband deserts his wife, disappears, or is presumed dead without actual proof of death. Since Jewish law requires a divorce be initiated by the husband, if the husband cannot be found, he cannot be compelled to file for divorce, leaving the wife stuck, or technically, in an Agunah (anchored) situation. This is often an issue seen with military couples. In order to avoid this problem, many husbands provide a conditional get to their wives before deployment so their wives will be able to remarry in the event of a tragedy. As we can see, the process of filing for and obtaining a Jewish divorce is not easy. Not only does the couple need to have a valid get, but there are times when the wife’s right to a divorce decree is jeopardized since her husband usually has the upper hand. A husband may even try to use the get to gain unfair leverage. Then, there are times when the get itself is inaccurate. Our Jewish family lawyers in Brooklyn, Staten Island, and Queens, NY are ready to assist you with your civil and religious divorce proceedings. For more information on filing for a Jewish divorce, give us a call to schedule a free consultation. Our goal is to protect your rights and ensure you obtain a fair and swift resolution for your case.